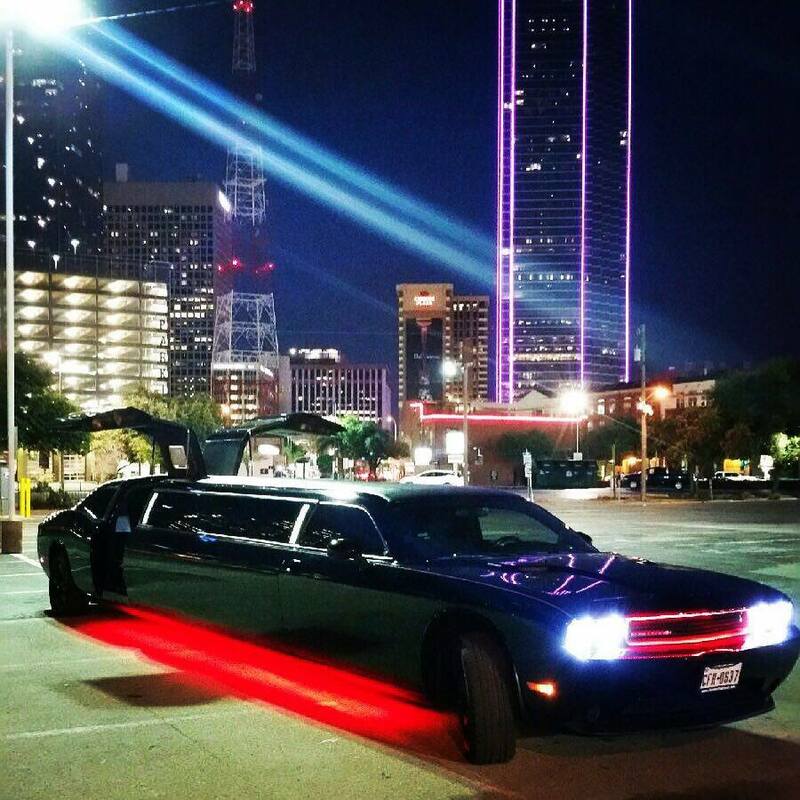 Dallas Limos one-of-a-kind black Dodge Challenger Limo will have your group talking about your time together for years to come. 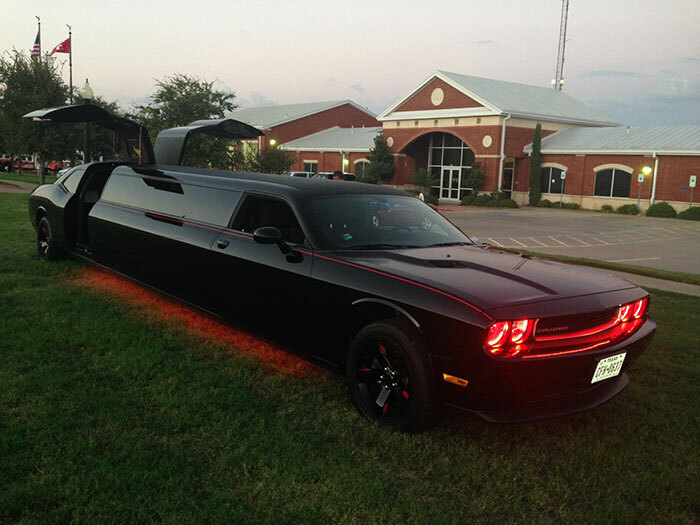 One of the most recognizable limo’s in the state of Texas, you are sure to turn a few heads when your group shows up in this ride. 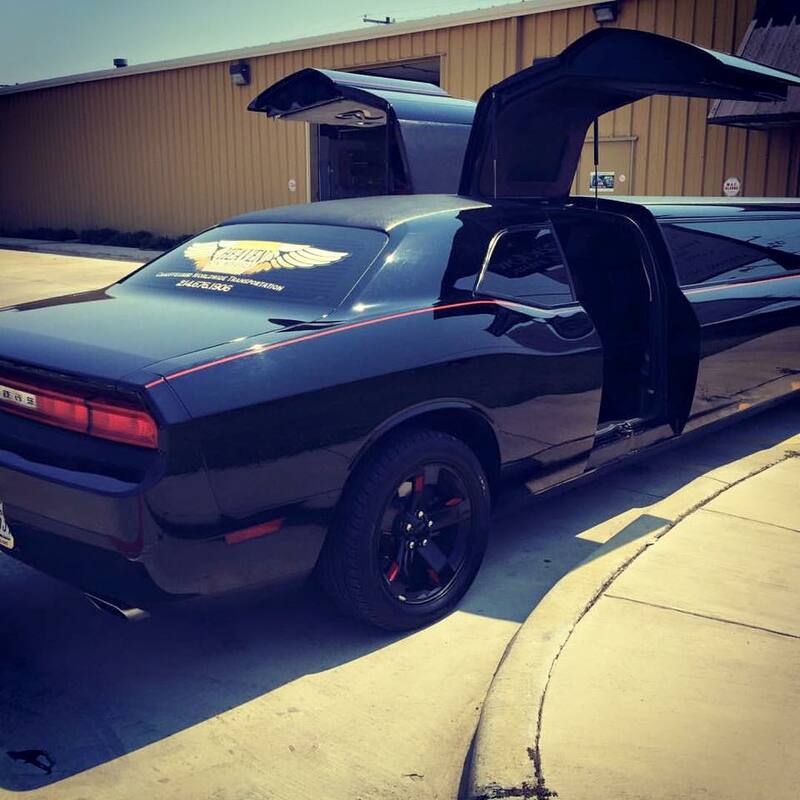 Featuring Jet doors with embedded TV’s, multiple large interior TV’s and J-Style black leather bench seating, you will be the talk-of-the-town when you reserve this vehicle. 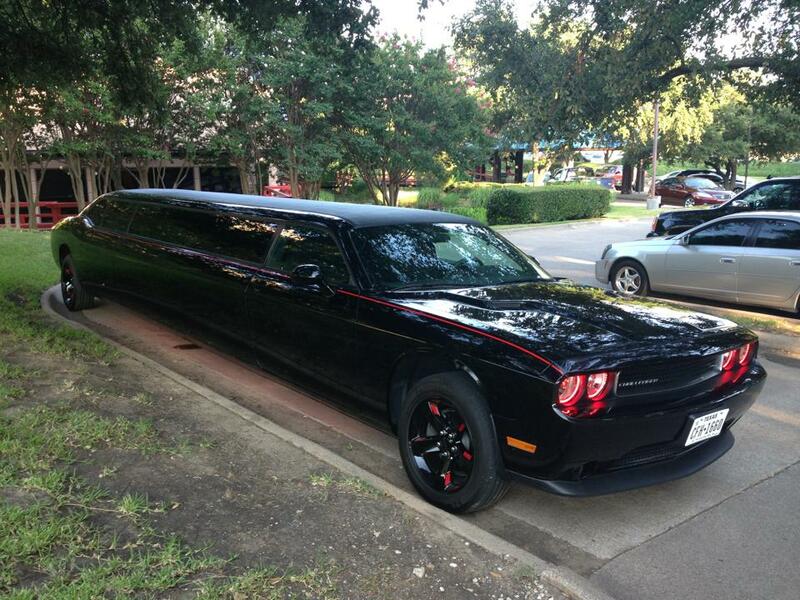 For reservation information or to answer any questions about our Black Dodge Challenger Limousine, please contact one of our reservation agents today.